Rubs and Sauces are the spice of barbecue. Created by Steven Raichlen, our Best of Barbecue Rubs are designed to boost the flavor of meats, poultry, seafood, and vegetables-on the grill, in the pit, or in your smoker. If you want to make classic ribs, smoky briskets, savory pork shoulders, and textbook barbecued chickens, these rubs and Sauces are your ticket. 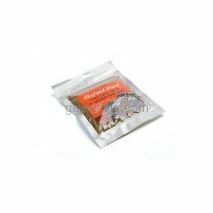 Beef and Lamb Grilling Rub Mix specially blended for perfectly seasoned beef and lamb.Resealable foil pouch.Each is 1.75 OZ. 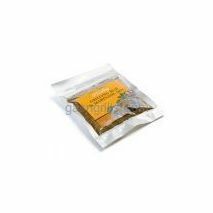 Poultry Grilling Rub and Marinade Mix specially blended for perfectly seasoned Poultry.Resealable foil pouch.Each is 1.75 OZ. Steven Raichlen Caribbean Brine: A spicy, tropical island blend of cinnamon, allspice, cloves, and orange, with a touch of chili pepper for fire. Makes 1-2 quarts of brine per pack. Contains two packs. Steven Raichlen Lemon Brown Sugar BBQ Sauce. 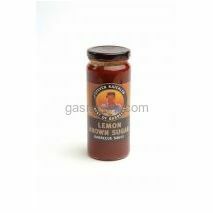 A sauce piquant with fresh lemon yet mellow and sweet with molasses and brown sugar.16 oz. Jar. Steven Raichlen Mediterranean Brine: Fragrant scents of rosemary, thyme, sage, lavender, juniper berries, and lemon. Makes 1-2 quarts of brine per pack. Contains two packs. 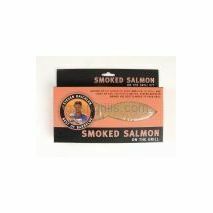 Steven Raichlen Smoked Salmon on the Grill.It's easy to smoke your own salmon on the grill and we can't think of a better topping for a bagel or toast point. Cure the fish in this unique blend of sea salt, sugar, and spices. Sunday brunch will never be the same. Steven Raichlen Steak Sauce. 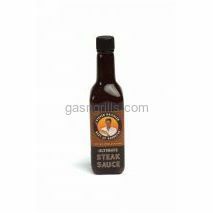 Not your daddy's steak sauce. This is a grown-up cocktail of tangy tropical tamarind, green peppercorns and Dijon mustard, plus an exotic blend of spices and flavors not found in ordinary steak sauces. Designed to make you sit up and take notice.